Anadolu Efes Istanbul thrashed Strasbourg 88-65 at home on Friday to improve to 4-3 in competitive Group B. Efes will make it to the Top 16 if it beats Brose Baskets Bamberg next week. Meanwhile, Strasbourg dropped to 1-6 and has slim chances to advance to the next round. Scotty Hopson paced the winners with 23 points on 6-of-6 two-point shooting and 3-of-5 from downtown. Jamon Gordon added 18 points, 7 assists and 5 steals, while Semih Erden and Kostas Vasileadis each scored 12 points for Efes. 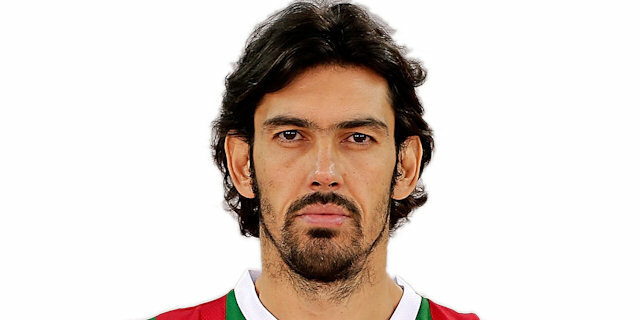 Erden added 9 rebounds for the hosts. 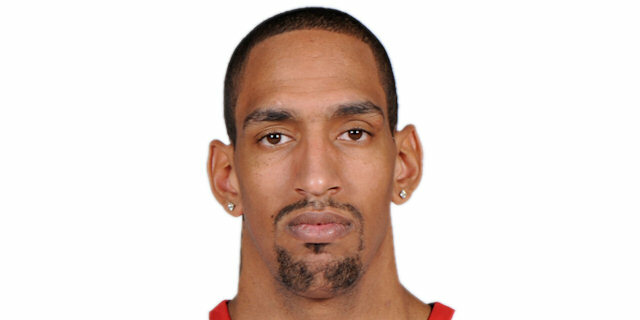 Alexis Ajinca led Strasbourg with 21 points. Tim Abromaitis had 12 for the guests. 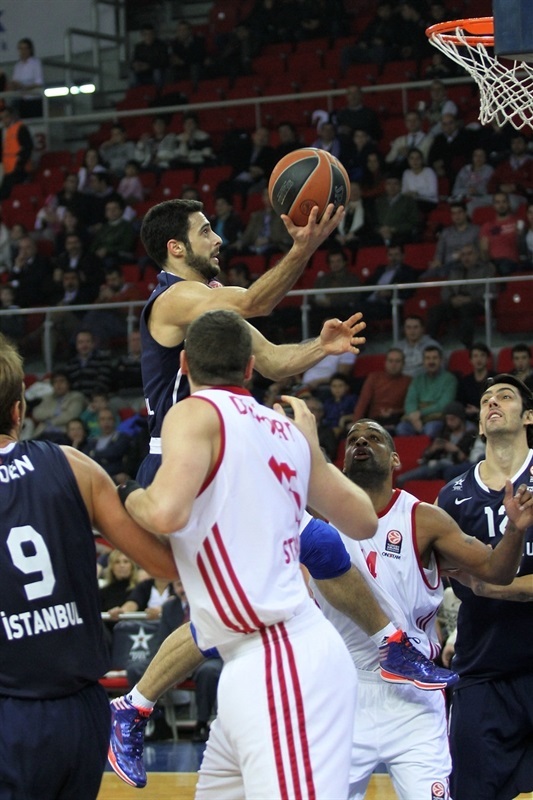 Dogus Balbay and Gordon shined early to give Efes a 24-12 lead after 10 minutes. A wild reverse slam by Hopson boosted the hosts' margin to 46-27 near halftime. Nothing changed from after that as Efes boosted its margin to 64-36 and Strasbourg only trimmed the deficit once the outcome was clear. 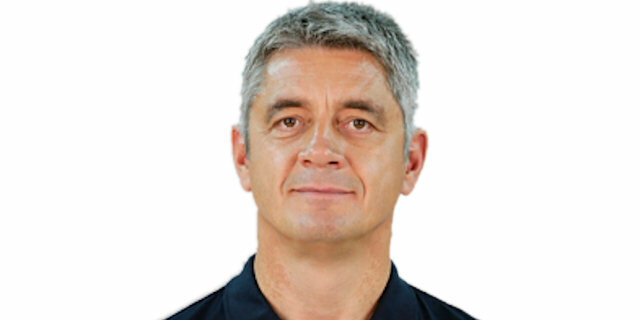 Efes head coach Oktay Mahmuti surprised everyone by placing guard Balbay in his team's starting lineup for the first time this season. Ajinca got Strasbourg going with consecutive jumpers, but a driving layup by Gordon and a tip-in by Erden tied it at 4-4. 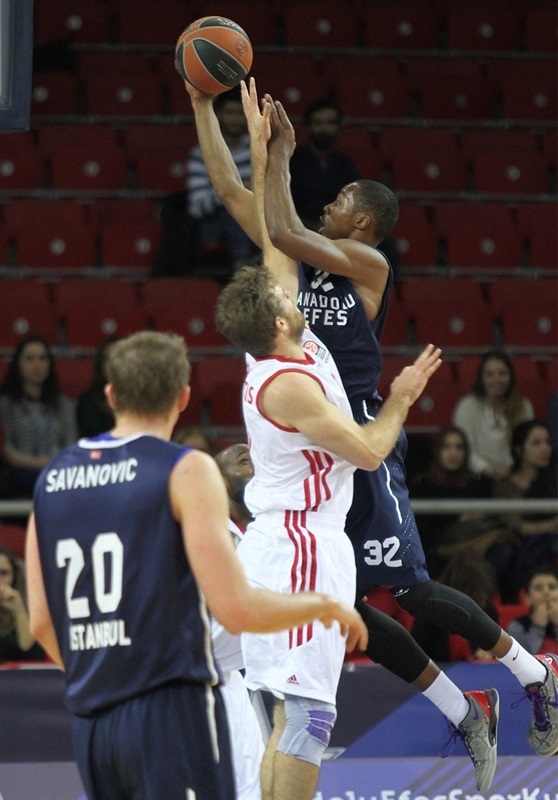 Ajinca dunked and a three-pointer by Hopson gave Efes its first lead, 7-6. 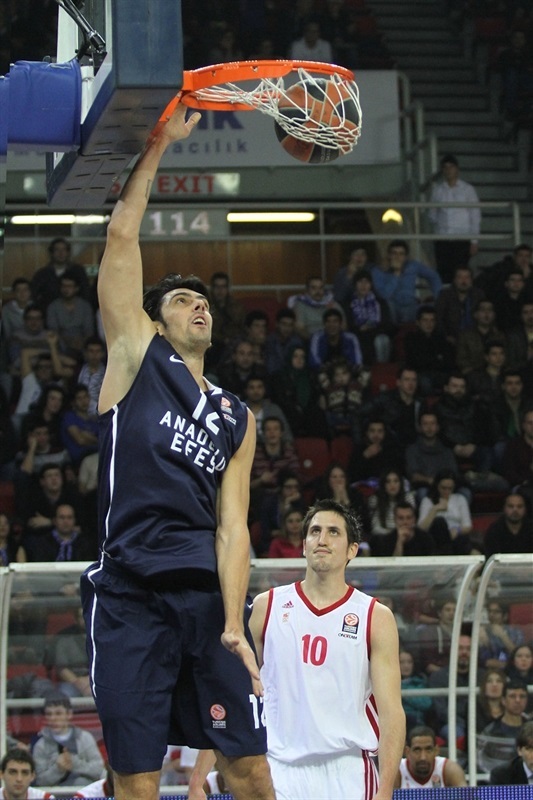 Ajinca hit free throws, but Erden scored down low and a fast break layup by Balbay made it a 3-point game. Hopson hit foul shots and Balbay took over with a coast-to-coast layup to cap an 8-0 Efes run. Louis Campbell and a red-hot Hopson traded baskets before a wide open three-pointer by Gordon gave Efes a double-digit edge, 20-10. Romain Duport stepped up with a layup that Zoran Planinic matched with a six-meter jumper. 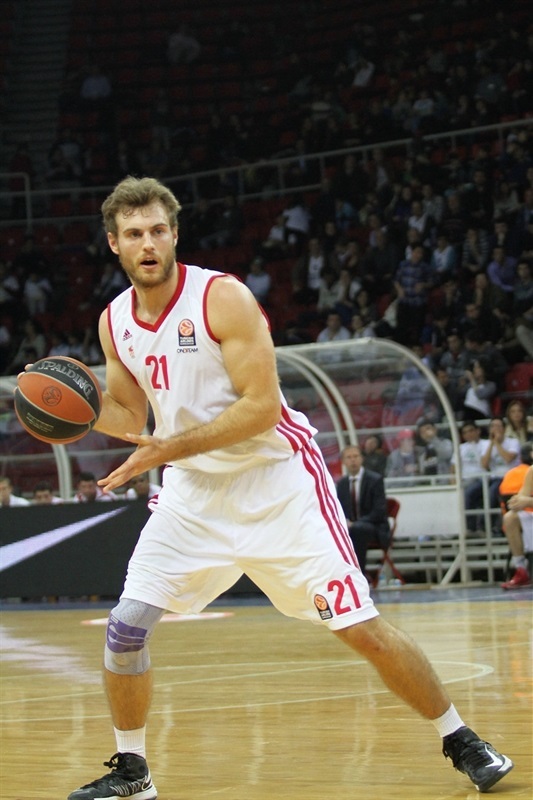 Planinic stayed on fire with a wild driving layup that gave Efes a 24-12 lead after 10 minutes. Hopson took over with an acrobatic layup early in the second quarter. Strasbourg kept struggling to score without Ajinca on the floor and a three-pointer by Vasileiadis broke the game open, 29-12. 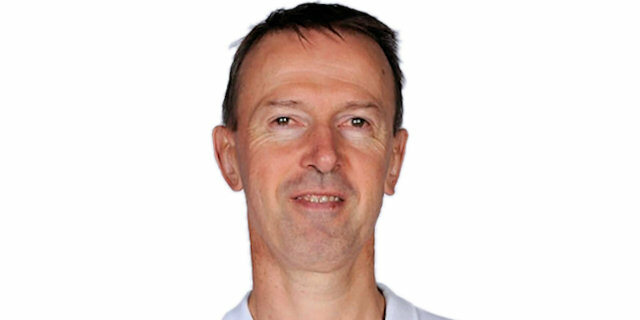 Duport tried to change things with a tip-in, as Coach Vincent Collet tried a taller lineup with him and Ajinca together on court. Vasileiadis insisted from downtown. Ricardo Greer made free throws and Antoine Diot brought Strasbourg a bit closer, 32-17. Tadija Dragicevic sank foul shots, but Ajinca bettered that with a three-point play for a 34-20 score. Birkan Batuk shined with a fast break layup but Efes had started to miss open shots. Meanwhile, a three-pointer by Jeremy Leloup caused the hosts call timeout at 36-23. Vasileiadis sank his third triple. 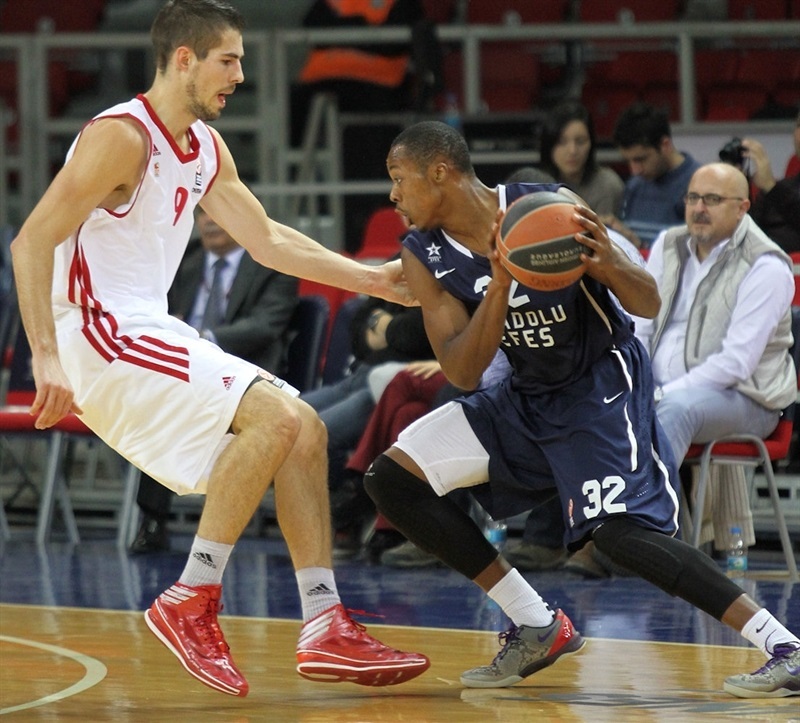 Ajinca banked in a jump hook before free throws by Erden restored a 41-25 Efes lead. Abromaitis dunked, but Hopson followed a three-pointer with a two-handed reverse slam. A tip-in by Ajinca fixed the halftime score at 46-29. Erden dunked after the break but Campbell did better with a bomb from downtown. Hopson stayed on fire with a driving layup and Gordon scored off a midcourt steal to make it a 20-point game. Ajinca swished a baseline jumper, but Gordon quickly answered with a one-handed floater. Greer fed Ajinca for an easy basket that Dusko Savanovic matched with free throws - his first points. Erden took over with a breakaway slam and Gordon provided a highlight with an alley-oop slam for a 60-36 Efes margin. Erden scored around the basket and free throws by Savanovic boosted his team's lead to 64-36. Balbay scored again, but a layup-plus-foul by Abromaitis and a three-pointer by Diot brought the guests a bit closer, 66-42. A layup by Paul Lacombe saw Efes call timeout after an 0-8 run. Kerem Gonlum stepped up for Efes, but a triple by Axel Toupane and a dunk by Duport kept the guests within 69-49 after 30 minutes. Fourth quarter: Gordon means showtime! Diot and Gonlum traded baskets early in the fourth quarter and a three-pointer by Abromaitis gave Strasbourg some hope at 71-54. Efes had started to use longer possessions to run the game clock down. Hopson finished one of those long, patient offenses with a three-pointer that seemed to seal the outcome. Campbell answered from downtown and Toupane swished a jumper for a 74-59 Strasbourg deficit. Hopson dunked again, Ajinca split free throws and a mid-range jumper by Gordon restored a 78-60 Efes margin. Vasileadis downed a catch-and-shoot three-pointer and after Abromaitis banked in a tough shot, Gordon decided to seal his team's win in style. He struck from downtown, added an up-and-under layup and provided a highlight with a 360 slam of a steal, enough for the Efes fans to celebrate. "We won a very important game which we had to win at home. We played good basketball during most of the game. We had a 30-point lead in the middle of the third period, but then we lost our rhythm and Strasbourg closed the gap. Anyway we controlled the rest of the game to win with a good margin. The other good thing tonight was the increasing number of our fans. We are expecting to see them next week in the game against Brose Baskets Bamberg, which is crucial for qualifying to the Top 16." "We had a very bad start to the game. 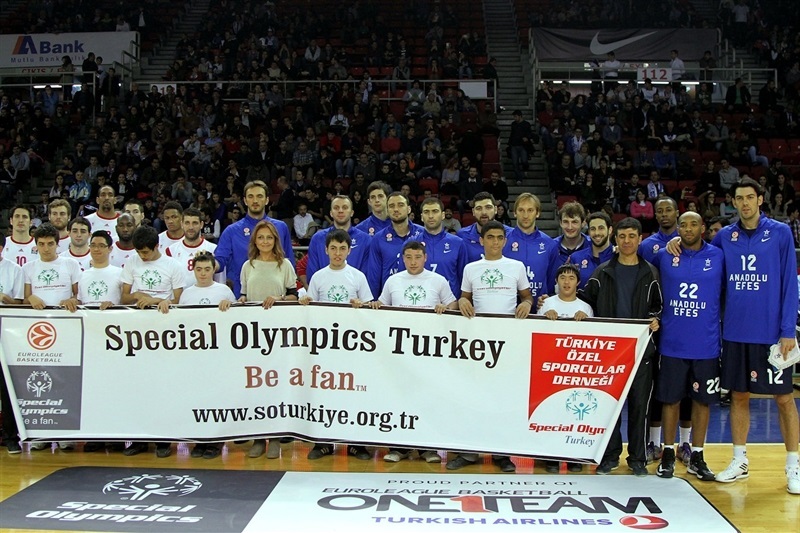 Anadolu Efes proved that they prepared really well for the game. It was easy to understand it on the court. They had an excellent start with pressure on defense. We also let them to score easy points, especially in the first half. Then we tried to come back after a big difference, but it was too late. The margin was always too big to come back. 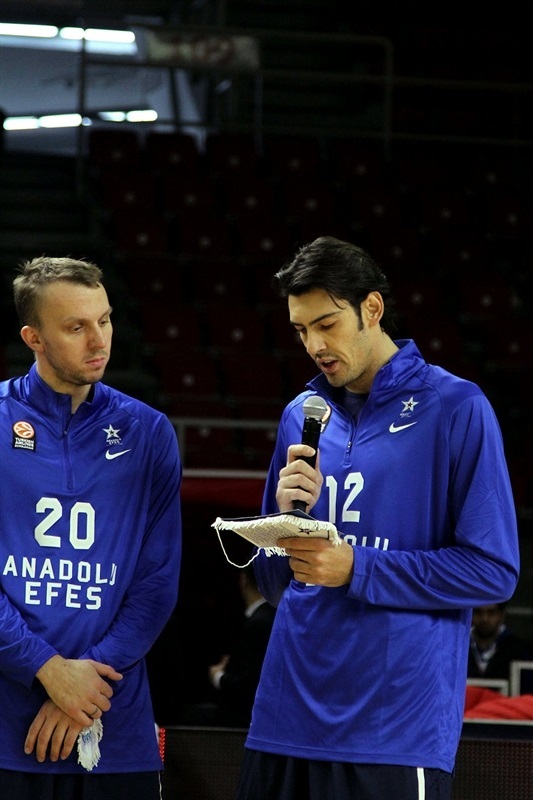 I congratulate Anadolu Efes for their win and great game." "First of all, it was great to come back after some time injured. I think we did great job on defense in the first half and used the advantage of fastbreaks after taking the rebounds. We had a good margin in the middle of the third period but made similiar mistakes like we did last week against EA7 Emporio Armani. Anyway we managed to use the advantage of the big difference this time in the last quarter. It was good form to comeback with a win. But I still need more time to be better." "We weren't able to balance the game after the big difference in the third quarter. We were really so soft on defense for most of the game. It was not easy to come back against a team like Anadolu Efes after going behind more than 20 points."